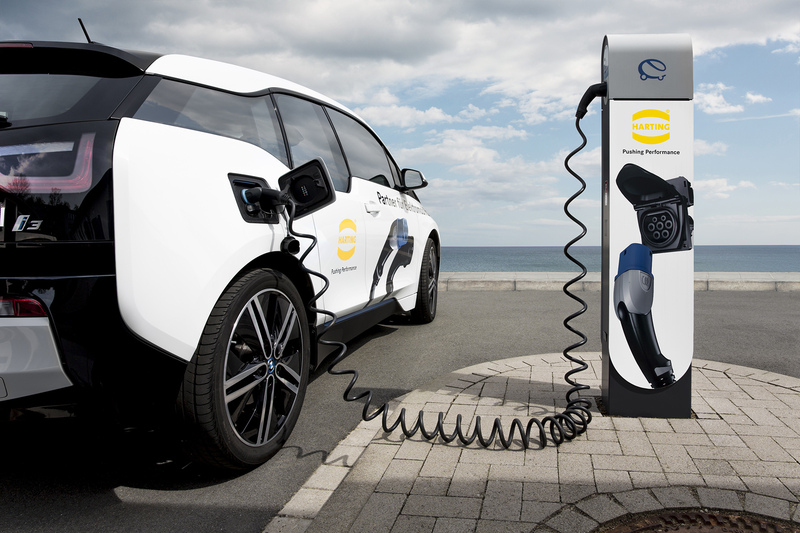 Harting is showcasing its technology at the Geneva motor show in support of increasing demand for charging systems for electric vehicles. Harting is ready for e-mobility. At the 88th Geneva International Motor Show (March 8-18, 2018), the company is presenting its innovative fast-charging technology on Rinspeed’s Snap vehicle. Drawing on decades of experience in connection and transmission technology for data, signals and power, Harting is an expert partner to almost all national automotive manufacturers as well as major OEMs. “Given our know-how and comprehensive portfolio, we’re optimally positioned to help achieve the breakthrough in the transport revolution technologically and in terms of infrastructure,” says Marco Grinblats, Managing Director of subsidiary Harting Automotive. Decisive for the acceptance and the success of electric vehicles is the number of charging stations, a nationwide charging infrastructure and, not least, an easy-to-use charging technology that saves time and money. As a pioneer of reliable, clean and environmentally friendly e-mobility, Harting offers tailor-made products and components for all relevant markets, and develops and produces charging equipment for electric and plug-in hybrid vehicles. “Air pollution control requirements will only be met with e-mobility, especially in cities. Early on, we recognised the increasing environmental awareness within society with respect to vehicle traffic and the resulting challenges and opportunities. Consequently, we’ve focused on this in our R&D and production and are also involved in all aspects of standardisation,” emphasises Grinblats. Harting has registered a strong increase in demand for charging cables and as a result has significantly expanded its production capacities in the Romanian sites of Sibiu and Agnita in the past year. Here, power cables for e-mobility and actuators for automotive applications are manufactured. At the end of 2016, Harting became a direct supplier to the VW Group for a specific e-mobility solution and supplies diverse charging equipment for different Group brands, e.g. the Porsche Panamera 4-Hybrid. Harting has also been a Tier 1 supplier for BMW Group for the past few months. The technology group particularly sees good opportunities for the development of high-power current solutions. “We’re working very hard on this since this technology will shape e-mobility over the medium term,” Grinblats is convinced.